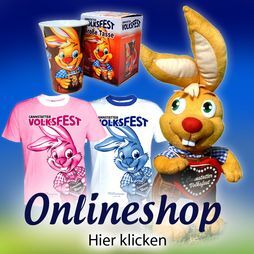 Wasenhasi is the official mascot of the Cannstatter Volksfest. During the festival, he regularly walks around the site so that you can have your picture taken with him. But read for yourselves what he has to say. let me introduce myself? 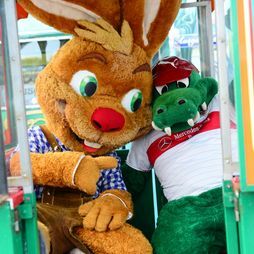 I’m Wasenhasi, the mascot of the Cannstatter Wasen in Stuttgart. I’ve been living here since 2007 and I can certainly say that life is never boring here. 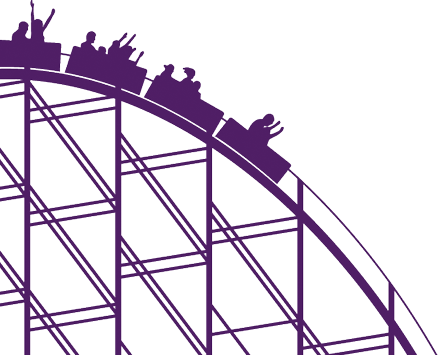 Festivals, shows, circuses, concerts, exhibitions – there’s something happening throughout the year. My world is however the big festivals. For the duration of the Stuttgart Spring Festival and the Cannstatter Volksfest in autumn, the Wasen plays host to people from all over the world and I get to meet lots of nice people. What I really like is seeing the faces of children lighting up when they see all the funfair rides and stalls. 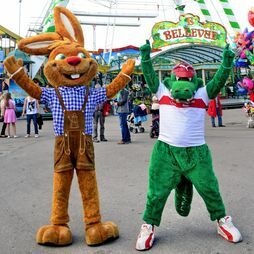 Being a rabbit, I’m obviously not a scaredy cat and I just love riding the big wheel or roller-coaster to give myself a better view of the festival tents, snack bars and stalls. One has to after all keep tabs on everything going on around the place. 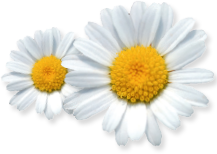 As the symbolic figure of the big festival, I stand for everything that makes it so special, namely a love of life, Swabian tradition and, in particular, for the hospitality towards the visitors from all over the world. Perhaps you’re asking yourselves just how did a rabbit of my standing find his way down to the Wasen. The reason is quite simple as my ancestors all lived on the big festival site on the banks of the River Neckar. 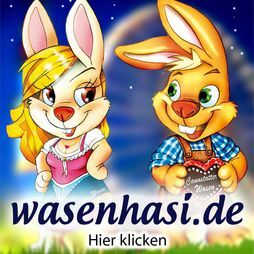 The old local Swabian folk song “Auf’m Wasa graset d’Hasa“ – “Rabbits are a grazing on the Wasen” – is all about them and still today one can see my friends and relatives hoppling around the Wasen. The man behind me is the children’s book author, artist and publisher Gecko Keck, alias Gerhard Wörner. He grew up close to the Wasen and still lives in Bad Cannstatt. As far a Stuttgart is concerned, he, like me, is a clever bunny. He’s even written a book about me. It’s called “Pias Traum oder Wie kam der Hase auf den Wasen?“ (Pia’s dream or how did the rabbit find its way to the Wasen). In the meantime I’ve found a girlfriend called “Hasi“. And who knows, perhaps she’ll be accompanying me soon for a stroll around the Wasen. Pop by and pay me a visit the next time you come down to the Wasen. I’m looking forward to seeing you.